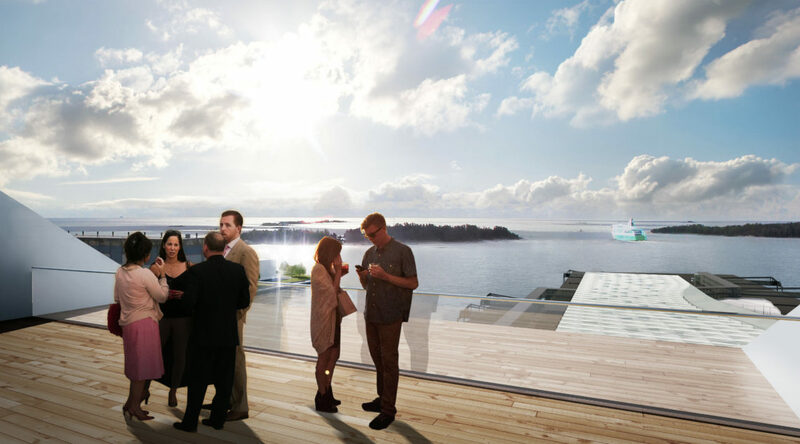 Helsinki’s rapidly growing West Harbour caters for passenger traffic to Tallinn and St. Petersburg. Cargo harbor functions were relocated from the area in 2008 to allow for a new residential area to be built. 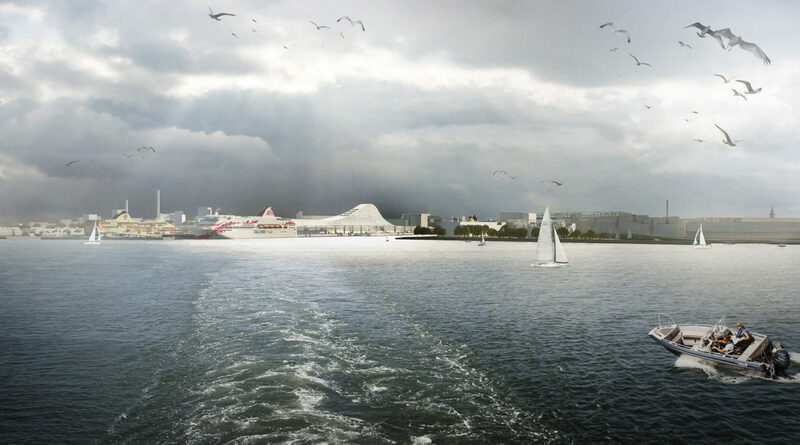 The urban regeneration project aims to restore the connection between the port and the city. 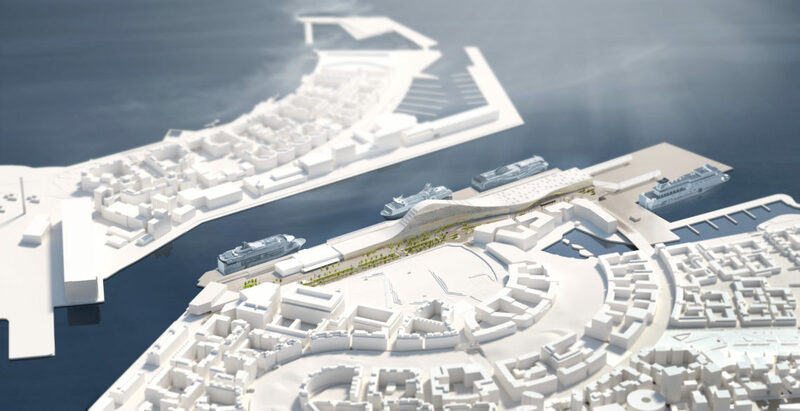 By the completion of the project in 2030 the annual ferry passenger amount will have reached 10 million, 22,000 new residents will have moved to the area, and 10,000 new jobs will have been created next to the port. 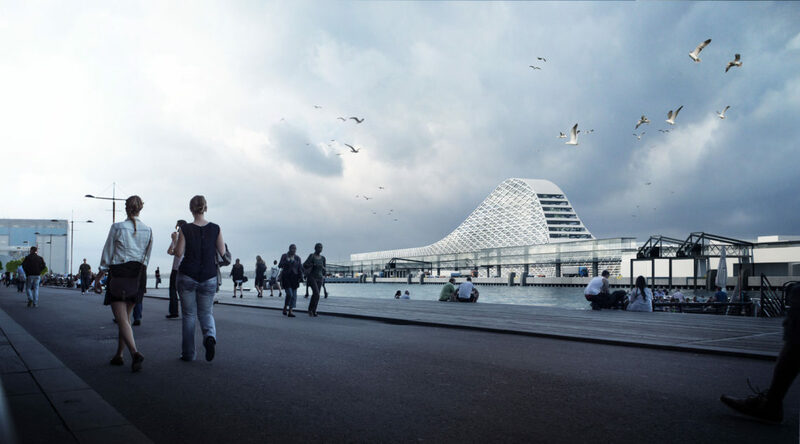 The passenger port with hotel and retail functions connecting the old and new terminals will act as the area’s lively center. A buffer zone with business premises and leisure activities will be created between the port and the residential area to downsize the environmental impact of port activities. 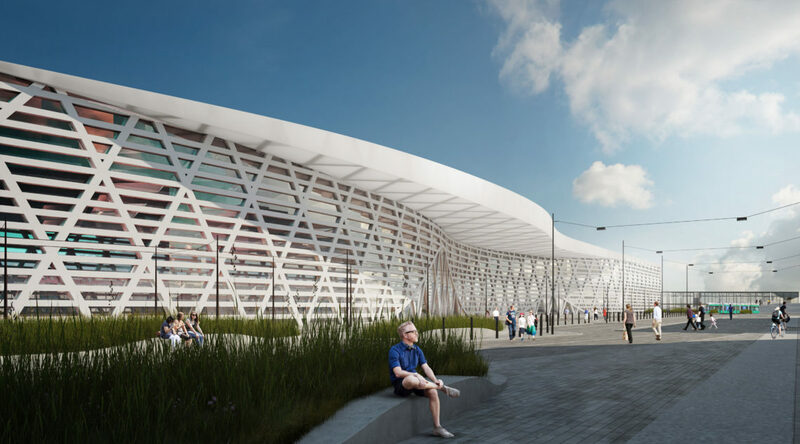 The project aims to shorten both the mental and physical distance, between Helsinki, Tallinn and St. Petersburg, the port and the city center, as well as the port and the residential areas. 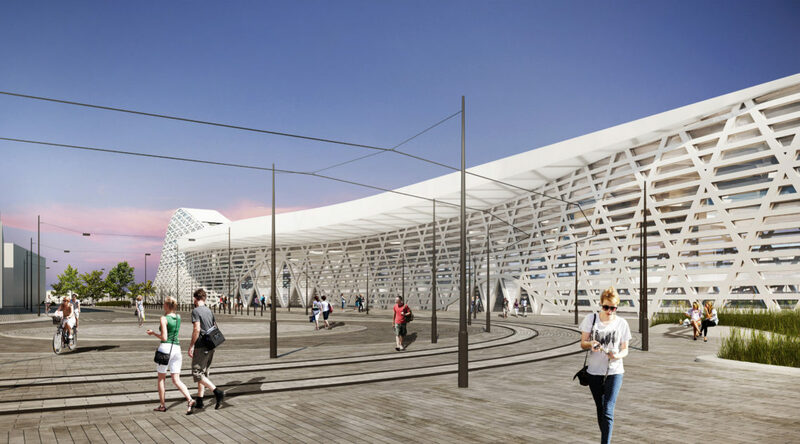 A functioning passenger port in the city center with effective public transport options and a wide selection of services benefits both tourists and local residents. 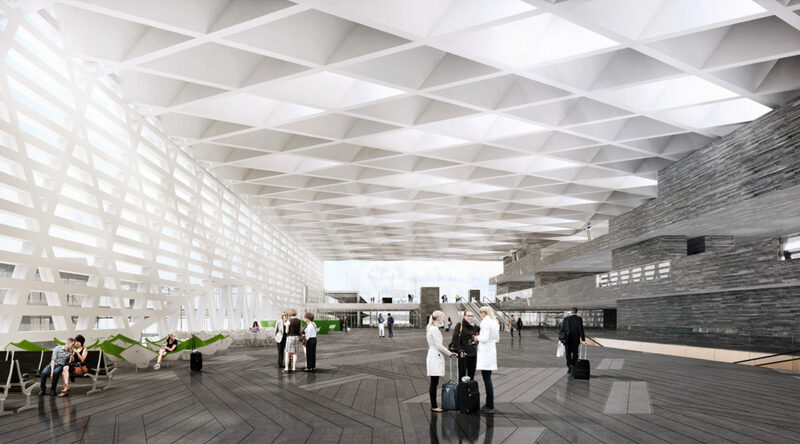 ALA received 1st prize in an invited competition in fall 2012 and continued to develop the concept for the new passenger terminal, its adjacent functions and the harbor masterplan further. 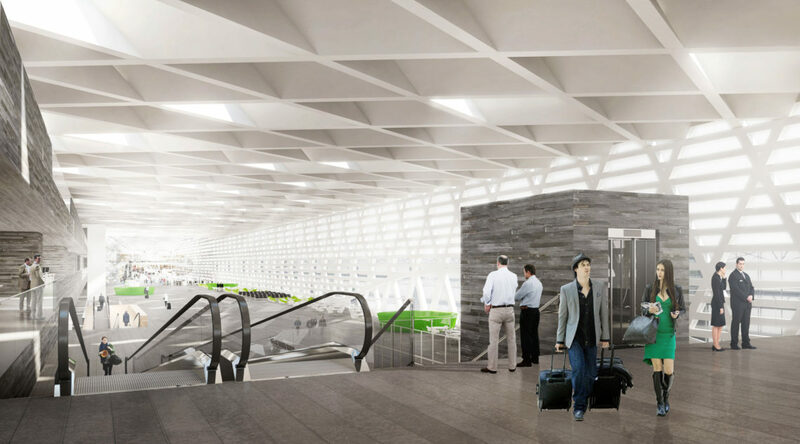 The program consists of one long building mass: The new terminal building extends into commercial services capped by a tall hotel extending further into a parking building and finally the existing terminal building. 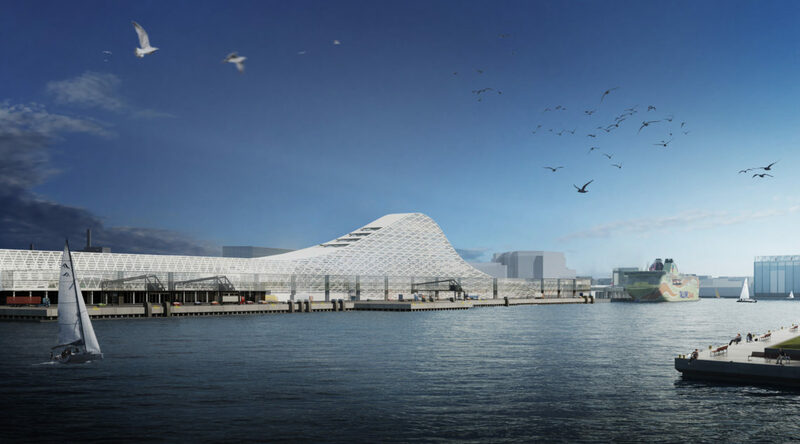 At the northern end of the pier, two new office buildings frame the approach to the terminal. 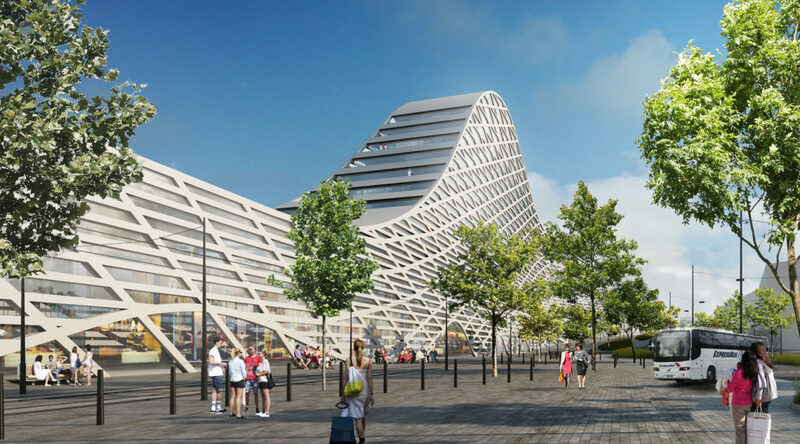 Moving southward, the harbor boulevard gradually rises up to 1st floor level taking drop-off traffic and trams to the main entrance. The traffic to and from the ferries remains at pier level, below the raised entrance square.